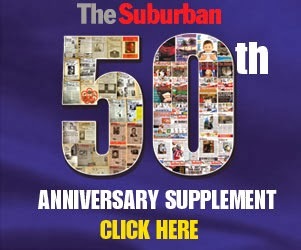 The Suburban.com - The Suburban - Mike Cohen: Our Grade 1 reviewer Nathaniel gives thumbs up to Marvel Universe Live! Our Grade 1 reviewer Nathaniel gives thumbs up to Marvel Universe Live! After writing a preview piece in The Suburban for the much anticipated Bell Centre presentation of Marvel Universe Live! I thought that the best person to review it for me would be a colleague with a young son. Enter our production guru Oliver Sutton and Nathaniel, who enters Grade 1 at Royal Vale School this year. Marvel Universe Live! Continues with presentations in both French and English. French shows are Aug. 22 (3 pm and 7 pm) and Aug. 23 (11 am). English shows take place Aug. 22 (11 am) and Aug. 23 (3 pm). It features the likes of Captain America, Iron Man, Spider-Man. Thor, The Hulk, Black Widow, Wolverine, Nick Fury, Storm, Green Goblin and Red Skull among the 25 heroes and villains who arein constant battle during the two hour show. A scene captured from Oliver's seat. The Hulk was gigantic at eight foot five tall, greeted as well very enthusiastically by the crowd. Nathaniels review? “ Two thumbs up,” he said. The show is being described in some reviews as “Disney on Ice, with motorcycles instead of skates,” and clearly geared towards a younger audience. Marvel Entertainment launched this bold idea a year ago and it is taking arenas across North America and Europe by storm, attracting fans of all ages. Like Comic Con, many spectators tend to come in costume. The Spider-Man scenes were described as the most spectacular, spinning webs and flying through the air just like the motion pictures and cartoons.